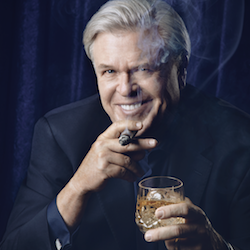 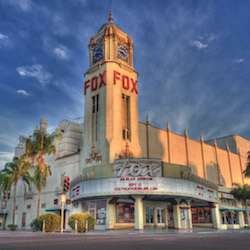 The Fox Theater in Bakersfield is recognized as a community treasure for its fine acoustics and is the only remaining Fox with its rare Skouras signature intact. Beginning at the sidewalk on a rainbow of polished terrazzo and inside amid towering gold leaf, she is the exquisite blend of Spanish Colonial and Art Deco. She beckons you away from reality into romantic enchantment with a galaxy of stars floating in the neon glow of an indigo sky; The Fox is truly a place where dreams come true!